Mastering the World of Numbers! 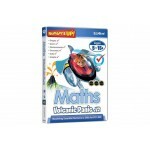 Build mental maths power & problem solving strategies while having fun! 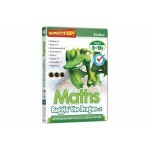 Master the maths of everyday living and outwit your competitors with Numbers Up! Bagginâ€™ the Dragon. 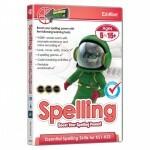 With powerful diagnostic and reporting capabilities, this curriculum-rich board game adventure will zero in on your childâ€™s learning needs. They will master shape, space, measure, data and algebra skills. 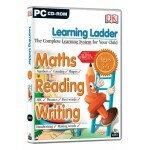 Learning Ladder Preschool is an excellent CD-ROM packed with a wide range of activities for 3-5 year olds. Woody the Pencil guides children through the different activities, which are very well explained. 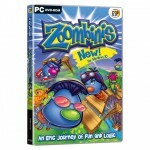 Children will enjoy becoming familiar with the mouse and navigating around the room making toys move and change. They will also enjoy doing the different activities such as painting the colouring book, having a go at recording their voice, listening to a story, doing puzzles and much more. The UK's most realistic Hazard Perception training aid! With over 600 high quality Hazard Perception practise video clips, this program tests your ability to spot potentially dangerous situations on the road. All the clips accurately represent those you will face in the real test, so you can be confident you're properly prepared on the day. 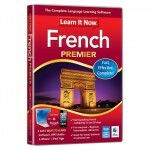 An essential tutorial and reference tool for learner drivers! With 20 interactive multimedia driving lessons, 19 "Show Me and Tell Me" video examples, and all the latest information on the Practical Test, you'll have everything you need to prepare for, and pass your Driving Test. An easy-to-use, yet comprehensive training aid for the driving Theory Test. Complete with the 1265 Official DVSA Revision Questions for cars and motorcycles, case study examples and hundreds of high-quality Hazard Perception clips, this program is designed to thoroughly prepare you for the Theory Test! 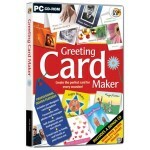 Now you can create your own professional looking, memorable greeting cards quickly and easily using Greeting Card Maker. Whether you choose to design your own card from scratch or use one of over 100 of the pre-designed templates in the program, youâ€™ll be amazed at what you can create in a matter of minutes! Learn To Play Like Bob Marley, Carlos Santana or Eric Clapton! 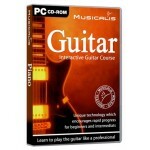 Interactive Guitar Course will guide you through the basics of guitar playing and aid progressive learning. Master rhythms, riffs and solos to play like Bob Marley, Carlos Santana or Eric Clapton. Greeting Card Factory Deluxe 9 contains everything you need to create retail-quality greeting cards and projects for every occasion. 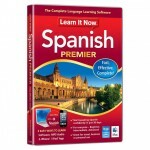 Choose from 27,000+ cards and projects, 92,000+ of premium graphics, and 500+ premium fonts. Plus, a choice of text effects and heartfelt sentiments, mean youâ€™ll be able to send fully personalised cards and projects to the people you care about most. 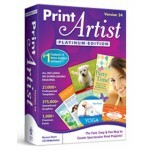 Print ArtistÂ® Platinum 24 is unlike any print software you have ever used. 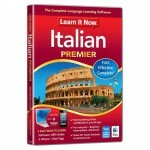 It is state-of-the-art creative software, which provides unparalleled quality and unprecedented ease of use in one unique package. From banners to brochures, calendars to certificates, greeting cards to gift itemsâ€”no other software makes it more fun to create truly spectacular print projects. 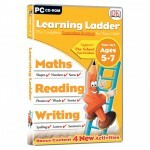 Learning Ladder provides a unique learning system that takes your child right through their primary education. Each disc is a separate â€˜rungâ€™ on the ladder â€“ starting at age 8, taking children through to age 11! 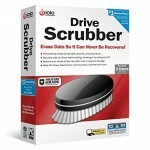 Erase data so it can never be recovered! Secure personal information from prying eyes by securely eliminating data before reselling or recycling your PC. 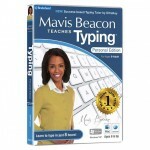 Simply deleting files, pictures, or documents â€“ even reformatting the hard drive â€“ isnâ€™t enough.  Expert PDF is the complete, affordable PDF alternative to Adobe Acrobat. With an even clearer, more intuitive user interface, 64-bit compatibility, an improved feature set and compatibility with the latest version of Microsoft Office 2013, you can quickly and easily create, convert, edit and view 100% industry-standard PDF files. 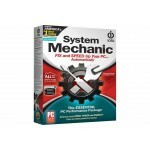 System Mechanic, the best-selling and award-winning PC tune-up software, is a comprehensive tool that automatically repairs errors and fragmentation, cleans out clutter, and tunes up your PC so that it runs smoothly, reliably, and up to 300% faster. 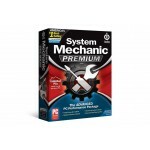 System Mechanic Premium is advanced PC performance technology, combining four powerful products to speed up and secure your computer, keeping it running like new. 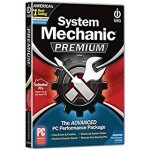 System Mechanic Pro is top-end PC performance software, combining five powerful products to speed up and secure your computer, offering total PC care in a single integrated package. 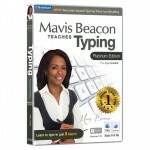 Mavis Beacon Teaches Typing 12 is the fast, easy and entertaining way to become the best typist you can be. 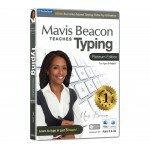 Mavis Beacon Teaches TypingÂ® 12 means better typing guaranteed!